Brushes with Happiness is the sound of a band making music because it’s exactly what they want to do. It’s also the first of two albums that the band is set to release this year. 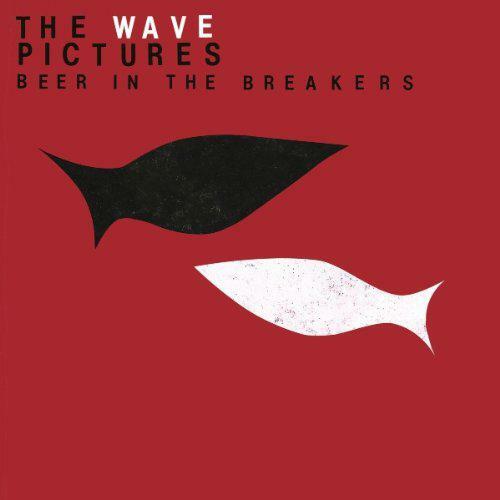 The Wave Pictures are drawn to rock ‘n’ roll like Dylan to a highway or an avid record collector to a dusty crate. Faces leap out from record covers throughout the album; Django Reinhardt, Jerry Lee Lewis, and Peter Green all make an appearance. And, it might be a stretch, but could Jim possibly be rock ‘n’ roll's favourite stooge, James Osterberg? Recorded to tape in one solitary night, Brushes with Happiness crackles with spontaneity and the bands instinctive, natural chemistry. Anyone that’s seen them live won’t be all that surprised. David Tattersall, Johnny Helm, and Franic Rozycki have been playing together for a long time now and have clearly developed some kind of near-psychic link. Whereas previous albums Great Big Flamingo Burning Moon and Bamboo Diner in the Rain often gravitated towards lively, upbeat rock ‘n’ roll there’s something altogether darker about Brushes with Happiness. You can imagine these songs being recorded in the early hours, Howlin’ Wolf spinning on the turntable between takes. The album begins with ‘The Red Suitcase’, a sparse and distinctly haunting take on the blues. 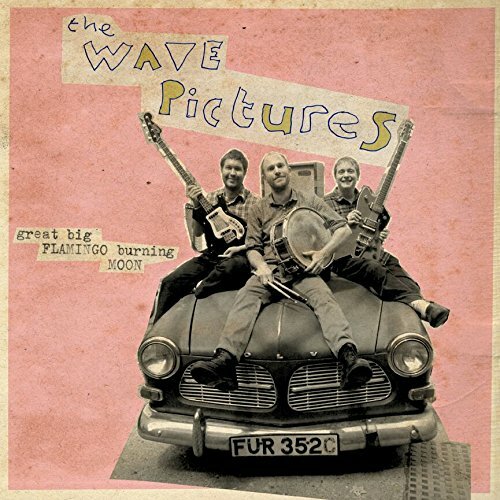 The Wave Pictures have tackled a number of styles since releasing their first album in the early two-thousands but it’s fair to say that they’ve never done anything quite like this. A deeply melancholic, late-night feel pervades as Tattersall croons, “waving to the wave/ waving to the waving sunflowers”. It’s Peter Green’s Fleetwood Mac filtered through a strung-out Scott Walker. We’re certainly a long way from the indie hijinks of something like ‘Spaghetti’ or ‘Just like a Drummer’. By the time we arrive at ‘Jim’ the pace has picked up slightly but the nocturnal feel remains. The band's ghostly harmonies work a treat as does the harmonica solo and Tattersall’s slow, effortlessly cool riff that runs through the song. ‘The Little Window’ offers a little light in the darkness as he sings, “sometimes when you reach out your arms/ the city hugs you back”. The wonderfully spooky ‘Crow Jane’ channels a particularly melancholy strain of Americana while the haunted folk of ‘The Burnt Match’ is pure, unadulterated magic as the band chant, “there’s something to be learnt from this burnt match/ there’s something to be learnt from this strangers lips”. The album sustains a mood of late-night, minor-key mystery throughout; the songs heavy with curses and an unnamed, bluesy melancholy that keeps you stuck to the speakers. All the more impressive when you find out just how improvised much of Brushes with Happiness was. The frequently cryptic lyrics were written by Tattersall before the recording sessions but the music you’re hearing is all first-takes. Nothing sounds remotely rushed or unfinished either, the band's relaxed attitude and first-thought-best-thought ethos leading to some quite incredible results. You can hear the excitement that stems from spontaneity and that ever important hint of danger in the air. Three musicians that know each other inside out and play off each other beautifully; the album is a testament to the bands enduring friendship, their talent and their ever passionate love of music. While some bands will obsess over a snare drum sound for hours on end, The Wave Pictures have just created something genuinely beautiful off the cuff. It may have only taken them one night but Brushes with Happiness is quite the achievement.